No-Clog Gutters in North Carolina – LeafSolution is the pioneer of the micro mesh gutter guard industry. In 2003, Leaf Solution began manufacturing the first gutter guard to use a stainless steel mesh. The real secret behind Leaf Solution gutter guard is not just the perfectly designed stainless steel mesh, but the 3 seams that run horizontally across the product. These 3 dips are essential in allowing Leaf Solution to be installed at a slope, because the seams actually change the direction of the water and force water into the seams. Stainless Steel Mesh + 3 Downward Seams + Sloped Install = The Best Gutter Protection System on the Market! If you want a gutter guard that nothing but water can get into and can take the heaviest of rains, you must get a free estimate for Leaf Solution. There is no gutter guard product in today’s market that can outperform the Leaf Solution gutter guard system. There is no wonder why we have an A+ ranking with the BBB. Anyone that says Leaf Solution is not the best gutter protection system on the market must be a competitor! Our product is backed by a 100% “NO CLOG” guarantee and your complete satisfaction is assured through our money back guarantee. Our product is designed without holes, slits, louvers, or other openings that can allow debris to collect in your gutters. ALL Leaf Solution products are tested and checked for compliance to our rigorous quality standards. Looking for gutter replacement options? View our gallery for some great ideas. Do you have some questions related to gutters and gutter installation? Visit our FAQ Section first. 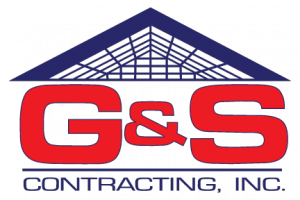 At G&S Contracting, Inc. we offer the highest quality No-Clog Gutters to our customers in North Carolina including: Cornelius, Davidson, Huntersville, Charlotte, Mooresville, and Lake Norman, North Carolina.